Did you dream of a beach, a view, the smell of the ocean and all of this right on your doorstep? Well, then you have arrived at your dream holiday destination. 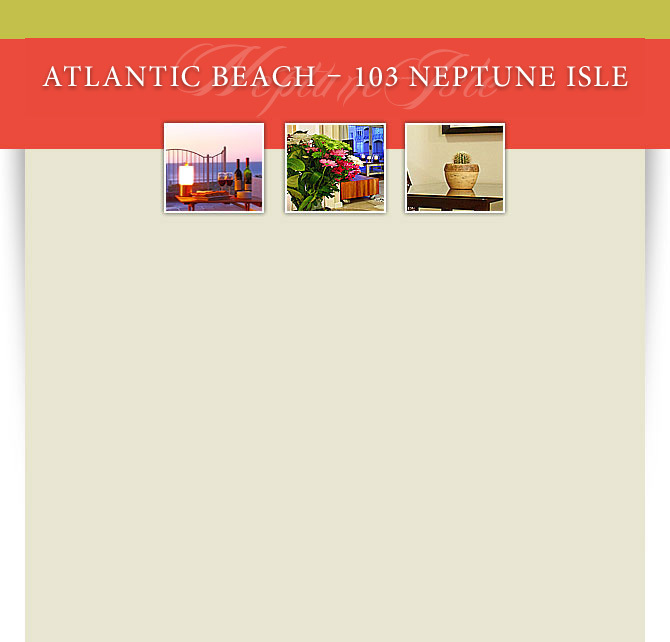 Situated on the ground floor with a gas barbeque, terrace and furnished porch, you just arrived at Neptune Isle. Geared to make the most of the destination this apartment offers everything you expect of a luxury property and a little more. The décor is minimal, but warm and welcoming with a few interesting focal point objects, like the Nguni hide. From the fully equipped kitchen to the well positioned table and chairs and comfortable leather couch where you can catch up with the latest news on the full satellite Flat screen television, this apartment's only aim is to lure you into a relaxing lazy stay. But no-one goes on a sea holiday to stay indoors. Being on the ground floor you have access to a well sized veranda to make use of the gas braai (barbeque) or to just watch the sunset with a glass of our best locally produced wine. 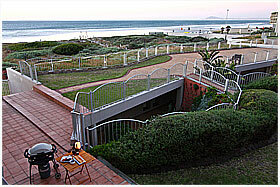 Neptune Isle, situated in Lagoon Beach, is a mere 5km from the city centre. With Cape Town's Rapid Bus Transport system almost on the doorstep, it gives easy access to both Blouberg and Cape Town, to make this area accessible for tourists without a car. The building, almost right on the edge of the beach, offers a communal swimming pool, should the sea be just a tad too cold for your liking. This area is a lot less busy than the often chaotic beaches of the Atlantic Seaboard and visitors can enjoy long walks while watching incredible sunsets that illuminate the famous mountain in the distance. Don't think for a minute there is nothing to do in Lagoon beach, relax with a cocktail at The Lagoon Beach hotel, or have a sumptuous dinner at Zorba's, a Greek restaurant and Bar. During the day send the Golf enthusiasts to Milnerton Golf Range while the rest shop to their heart's content at Century City's Canal Walk. Neptune Isle is ideal for either families and friends breaking away, or the corporate traveller who prefer to be central but still enjoy the views of Table Mountain.